In December 2017, the most significant tax reform legislation since 1986 was enacted into law. The majority of the law’s provisions take effect in tax years beginning on or after January 1, 2018, and a number of the changes will have a significant impact on car dealerships and their owners. But to adjust to these new tax laws, you’ll first need to understand what has changed, and how it could impact you and your business. Owners of pass-through dealerships are now able to deduct up to 20 percent of the entity’s qualified business income (QBI), which includes the ordinary income of the business. W-2 wages, interest income, and capital gains received from your dealership are not eligible for the deduction. If your adjusted taxable income exceeds $157,500 for single filers, or $315,000 for joint filers, the deduction can be limited based on the amount of W-2 wages paid by the dealership or the unadjusted cost of depreciable property of the entity. Dealership real estate is also eligible for the 20 percent deduction, but is subject to the same W-2 and depreciable asset limitations. To avoid these limitations, you may be eligible to make an aggregating election between related entities. With the implementation of the Tax Cuts and Jobs Act (TCJA), wage planning is more important than ever before. A shareholder-employee of an S corporation dealership or related business should review W-2 wages for reasonableness. W-2 wages paid to your dealership’s owners decrease the income of the dealership, thereby reducing the amount of income eligible for the 20 percent business income deduction. The top tax rate for W-2 income is 37 percent, while the top tax rate for business income, taking into consideration the 20 percent deduction, is 29.6 percent. Dealerships must pay reasonable wages for services provided by an owner-employee. If your dealer’s wages are too high, reducing those wages will increase dealership income and result in a lower overall tax. If dealer wages are too low, then they should be increased, which will increase overall tax. With the new tax legislation dropping the C corporation rate to a flat 21 percent, you may wish to consider moving to C corporation status. For many dealerships, establishing or converting to a C corporation still does not make sense due to the double taxation inherent in a C corporation. C corporation earnings are taxed at the entity level and the shareholder level. Thus, the overall double tax results in a total tax rate of approximately 40 percent, while the pass through rate is approximately 29.6 percent. Converting to a C corporation can be beneficial for certain circumstances. With the new 21 percent tax rate, existing C corporation dealerships may find that it is viable to convert to S corporation status, since the tax repayment to convert last-in, first-out (LIFO) will be less. If you are an existing C corporation, you will also find that benefits from LIFO may increase due to repeal of the alternative minimum tax (AMT). Many C corporation dealerships in past years had LIFO benefits limited due to the AMT, and some will find they have AMT credit carryforwards from past years, which will now be allowed due to the new laws. For 2018, the Section 179 first-year expense deduction has been increased to $1 million per year. This deduction starts to phase out dollar-for-dollar once the entity places $2.5 million of Section 179-eligible assets in service. To claim the Section 179 expense, your business must have taxable income. One-hundred percent bonus depreciation is now available for most new and used depreciable assets placed in service as of September 28, 2017; however, starting January 1, 2018, dealerships with floor plan financing indebtedness may be unable to utilize bonus depreciation. Bonus depreciation will allow you to expense 100 percent of the purchase price for qualifying assets in the year of acquisition. Depending on your situation you may be able to obtain a benefit by completing fixed asset purchases by year end. If your business’s combined gross receipts are in excess of $25 million, the new law limits the amount of deductible business interest expense to 30 percent of the entity’s adjusted taxable income. For the purposes of the limitation, adjusted taxable income is the entity’s taxable income with adjustments for business interest income and expense, depreciation, and amortization. Business interest expense that exceeds this limitation is disallowed in the current year and carried forward. Dealership business interest expense is not limited to the extent that it relates to floor plan financing indebtedness. The law provides that dealerships with floor plan financing will not be allowed the benefit of bonus depreciation (mentioned above). Based on the current law, there is a lot of confusion with regard to this bonus depreciation limitation. We will be monitoring future IRS guidance to determine how this limitation will be applied and affect dealerships. You should estimate the business interest limitation to understand the effect of the limitation on your 2018 tax liability. The old law allowed 15‐year straight‐line depreciation for most leasehold improvements incurred after a tenant has occupied a property. 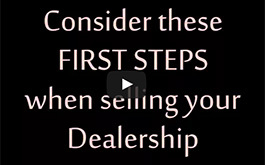 It did not apply to dealership properties owned by the dealer. The new law expands this to include improvements to buildings owned by a dealership. Unfortunately, while the revised law was also intended to allow depreciation over a 15‐year period, it was not included in the final law. Until a tax technical corrections bill is enacted, qualified leasehold improvements will require a 39-year life with no bonus depreciation allowed. The good news is that qualified improvements may be eligible for Section 179 expensing. The deductibility of meals provided for the convenience of the employer (e.g., lunches or dinners provided at the dealership for meetings or work conditions) has decreased from 100 percent deductible to 50 percent deductible. Entertainment expenses, including charitable sporting event tickets, are now completely non-deductible. Expenses related to office parties or events continue to be 100 percent deductible. Meal expenses related to business meetings and business travel remain 50 percent deductible. If you provide entertainment to customers with the purchase of a vehicle or have customer events that include meals and other entertainment activities, these costs are still 100% deductible. The new tax law allows businesses with less than $25 million in combined gross receipts to adopt the cash method of accounting for tax purposes. Accordingly, smaller dealerships may be eligible to adopt the cash method of accounting, if desired. The $25 million gross receipts threshold is applied on a combined basis for commonly‐owned businesses. Under the cash method of accounting, inventory would continue to be deductible only when sold. Your dealership’s specific situation will need to be reviewed to determine if the cash method would be beneficial. Dealers under the $25 million threshold may elect out of the uniform capitalization requirements under Section 263A, which requires dealers to capitalize certain indirect inventory costs. Dealerships that use the LIFO inventory accounting method should closely monitor the new vehicle inventory in stock at year-end with the type of vehicles they will have in stock in 2018. Work with your advisors on estimating inventory levels to determine potential LIFO adjustments. Inventory can include in-transit vehicles as long as they are invoiced by December 31, 2018. If you own an interest in an S corporation, you may need to increase your tax basis in the entity so that you can deduct a current year tax loss against other income. If you are reporting losses, you should review the tax basis in the stock of your dealership and the tax basis in loans to the dealership to ensure that you have sufficient tax basis to deduct the loss on this year’s personal income tax returns. Similar, but more complicated, rules apply to partnerships. Consider writing down your used vehicle inventory to the current market value (if the market value is less than cost). To do so, you must have made the election to value your inventory at the lower of cost or market in prior years. These market value adjustments should be based on industry guidelines and market value guides. If you have not made the appropriate elections in prior years, your tax advisor should be able to prepare a Form 3115, change of accounting method, to allow you to value your inventory at the lower of cost or market. Dealers not using used inventory LIFO, or who revoked LIFO more than five years ago, may benefit by adopting it this year. LIFO generally reduces income by the rate of inflation; 5 percent inflation could reduce taxable income by five percent of your used vehicle inventory value. If you are on used vehicle LIFO, you are prohibited from taking used vehicle write-downs. The LIFO benefit is additive each year, versus used vehicle write downs, which generally represent a one-time deduction that carries forward. Keep in mind, if you want to consider adopting LIFO for new or used vehicle inventory pools, it is necessary to include a reasonable LIFO estimate on your December 2018 financial statement. It is important that the corporation pay the health insurance premiums of an S corporation shareholder or reimburse the shareholder for premiums paid personally, in accordance with a corporate plan. Furthermore, those premium payments must be added to the owner’s Form W-2 as taxable wages. This allows the individual owner to claim a deduction for the health insurance costs. The income added on forms W-2 is not subject to FICA or Medicare. Shareholder-employees on Medicare may be reimbursed by the corporation, which may allow them to deduct the premiums as an above-the-line deduction. Failure to set up this reimbursement arrangement for Medicare or other health insurance premiums paid by the shareholder-employee may prevent the employee-shareholder from realizing a tax benefit of paying the premiums out of pocket. Similar rules exist for partners in partnerships. Any building acquisition, construction project, or renovation greater than $500,000 can usually defer tax liabilities and provide a cash flow benefit through a cost segregation study. These studies separate the various costs of the structures and land improvements into different depreciation methods and shorten the depreciable life categories, which accelerates your tax deduction for depreciation. The tax depreciation may be greater than the book depreciation methods used for your financial statements. Due to 100 percent bonus depreciation, and the increase in Section 179, the benefit of expensing a cost segregation study performed on your facility could be greater than ever. Businesses should consider making the “de minimis safe harbor election” to write-off small asset purchases. You can write off the safe harbor of up to $5,000 per item or invoice if you have an audited financial statement, or $2,500 if you do not. Make sure to reconcile your parts inventory balances on your books with your parts inventory counter pad. This is normally done if you take a physical parts inventory when a physical inventory is not required. Reconciling the two inventory balances often results in decreased taxable income. Consider writing off obsolete inventories before year-end. Review customer accounts receivable to determine which past-due accounts are uncollectible. You will be able to claim deductions for bad debt expense. Remember that uncollectible factory incentives, rebates, and other receivables can also be written off. If your dealership or another business has generated taxable losses in the past, review current-year loan repayments made to shareholders. If prior-year losses have been taken based on money loaned by shareholders, repayment of these loans may create taxable income to the shareholder in the year of repayment. Review your loan activity in 2018 and consult with a tax advisor to determine if proper planning can avoid this problem. Make sure you are properly treating manufacturer discounts, such as floor plan interest assistance, as a reduction of the cost of goods sold, and not a reduction of interest expense. Many dealers are still improperly recognizing the discounts into income when the funds are received from the manufacturer, or worse yet, when the vehicle is stocked into inventory. If you’ve been treating these discounts improperly for tax purposes, your tax advisor may be able to file a Form 3115, change in accounting method, to defer the related income until the vehicles are sold. It’s also important to note that since the proper treatment of these discounts is a reduction of your dealership’s cost of goods sold, the interest assistance should not offset interest expense in determining your business interest limitation. Review invoices received after year-end to see if these expenses should be recorded as payables or accruals on your December 2018 financials. Make sure you also accrued all wages, commissions, vacations time, income, and other tax expenses on your December financials. Finance chargebacks related to 2018 sales can also be recorded on December’s financial statements. Accrued expenses must be paid no later than March 15, 2019, in order to be deductible in 2018. Accruals for most related party expense, such as accrued interest on shareholder loans or accrued shareholder wages or commissions, should be paid before year-end in order to be deductible. Certain prepaid expenses where the benefit will lapse within the next 12 months, such as insurance coverage, may be deductible in full for tax purposes in the year paid. An election must be made in order to accelerate the deduction of these expenses. Discuss your prepaid expenses with your tax advisor to determine if they are eligible to be deducted in 2018. The new law adds a new provision that requires individuals to combine all business losses and impose a $500,000 per-year maximum current-year deductibility limit ($250,000 per year maximum for singles). Any excess business loss that cannot be immediately deducted must be carried forward indefinitely as a net operating loss. Many dealers have relied on carrying back net operating losses in recessionary times to generate cash flow. Under the new rules, net operating losses can only be carried forward. We recommend dealers set aside additional cash to prepare for economic downturns. The new standard deduction was increased to $24,000 for 2018. While this is good news for many, taxpayers who normally itemize, but whose total deductions are under $24,000, may not realize a benefit from making charitable contributions, paying investment interest expense, incurring significant medical expenses, or paying home mortgage interest. Discuss with your tax advisor if bunching these payments in a given year to increase the amount of your total itemized deductions could be a good strategy for you. Review your charitable contributions paid by the dealership to determine if they should be reported as advertising expenses versus charitable contributions in order to avoid the income limitations applicable to charitable contributions. In some instances, amounts paid for Little League sponsorships, chambers of commerce, and other promotional events can be reported as advertising as opposed to charity. Minimize tax on capital gains by directly donating appreciated stock. This offers multiple benefits, such as being able to deduct the higher, appreciated value of the stock, as opposed to the original cost basis of the stock. In addition, there is no tax on the transaction. If you lease rental real estate to your dealership, the passive activity loss rules present a significant threat. If your Form 1040 has a mix of positive and negative net income amounts amongst your rental activities, the passive loss risk needs to be carefully assessed. Grouping rules may allow you to offset your rental losses with your dealership profits to avoid disallowance of the losses. The additional 3.8 percent tax on investment income under the Affordable Care Act is still in effect. Self-rental and self-charged interest (interest received on loans to your dealership) are not subject to this additional investment income tax. Subjecting this income to the additional tax is one of the most frequent mistakes we see tax preparers make. Discuss with your tax advisors to make sure you’re not paying more than you should on net investment income tax. If a mistake was made in the past, an amended return may be prepared, as long as it hasn’t been more than three years from when the tax return was due. Interest expense on home mortgages originating after December 14, 2017, can be deducted on up to $750,000 of home mortgage debt. The debt limit on home mortgages originating on or before December 14, 2017, remains at $1 million, even if the debt is refinanced after the December 14 date. Interest related to home equity loans up to $100,000 is no longer deductible unless the proceeds from the loans were used to build, buy, or improve a home. Alimony will no longer be deductible by the payer and will not be includible in the recipient’s taxable income for divorce decrees that become final after 2018. Alimony agreements entered into in 2018 or earlier will still be deductible. No changes were made to the treatment of child support (i.e., same treatment for alimony). This credit has increased from $1,000 to $2,000. A partial $500 credit will apply to certain non‐child dependents. The phase‐out of this credit has also been significantly increased. For example, married filing joint taxpayers will see an increase in the beginning point of the phase out from $110,000 (old law) to $400,000 (new law). If you are anticipating any significant capital gains in the near future (i.e., business, land, or stock sale) consider reinvesting any capital gains in a Qualified Opportunity Zone fund. Opportunity Zones were recreated under the new tax law to encourage investment in economically distressed areas. Reinvesting capital gains in a Qualified Opportunity Zone funds allows taxpayers to defer and eliminate a portion of the capital gain after being invested in the funds for at least five years. In addition, when the investment is held for at least 10 years, any post‐acquisition gains are completely excluded from gross income. Development opportunities are also available for taxpayers looking to build or renovate property in Opportunity Zones. The new lifetime exemption from estate and gift tax was increased from $5.5 million in 2017 to $11.2 million in 2018. The $11.2 exemption reverts back to $5.5 million in 2025. You may want to revisit your estate plan in response to the new, higher exemption” in lieu of lifetime gifts. For taxpayers not subject to the estate tax, not making gifts may be the right strategy since assets held at death benefit from a basis step up to FMV. CLA offers wealth advisory, outsourcing, and public accounting services to help clients succeed personally and professionally. Lee Ferguson is a CPA and manager in the St. Louis office and can be reached at 1-314-925-4361 or Lee.ferguson@CLAconnect.com. Dave Wiggins is a CPA and principal at CLA and can be reached at 1-314-925-4316 or david.wiggins@CLAconnect.com. This article was originally published on CLAconnect.com. The information contained herein is general in nature and is not intended, and should not be construed, as legal, accounting, investment, or tax advice or opinion provided by CliftonLarsonAllen LLP (CliftonLarsonAllen) to the reader. For more information, visit CLAconnect.com.